Make a lasting first impression when wearing these fabulous earrings from the Guinness® 1759 collection designed to artfully execute modern day elegance, wear day or night to finish your look, the perfect addition to any outfit. 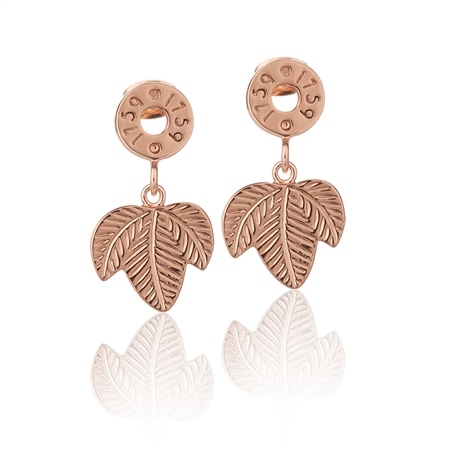 Rose Gold Plated stud earrings with a protective anti-tarnish layer, leaf drop detail, unplated titanium posts with Plated butterfly backs, presented in a Newbridge Silverware Guinness® collection gift box. Product dimensions 25mm x 14mm x 2mm For hygiene reasons earrings cannot be exchanged.